This June sees the young duo, Marco Faraone & Luca Agnelli, continue their rise to the top with an impressive debut on Desolat which showcases their considerable production talents. 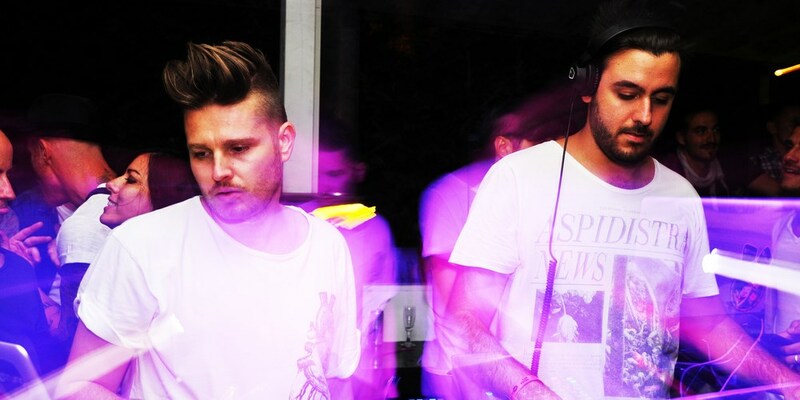 Despite their tender age Italian producers Marco Faraone & Luca Agnelli have individually released on some of the most established labels including Get Physical, Cècille, Dirtybird and Moon Harbour. This June sees the young duo continue their rise to the top with an impressive debut on Desolat which showcases their considerable production talents. Title track Jambo kick off the EP at a strong pace with a deep bouncing bass-line, crisp percussion and a hypnotic distorted looped vocal makes for a thrilling and trippy track. La Feria is another driving track aimed at the peaktime dancefloor. The track is characterised by strong drums and a distant radio-like sample which is prominent until the track drops back into its distinctive rhythm. Hold It Like That is a perhaps the most delicate offering on the EP. The track develops at a gentler pace, with an infectious looped vocal sitting and shimmering hazy-melody sitting upon crisp drums. Last Call which rounds off the EP, is once again a powerful track, with subtle-builds, aimed firmly at moving a packed dancefloor. Overall then on the Jambo EP Marco Faraone & Luca Agnelli justify why they are two of the most promising producers around by delivering an accomplished debut EP.